In the Northern Graves – the oldest winegrowing terroir in Bordeaux dating back 2,000 years – Château Brown lies in the heart of the young Pessac-Léognan appellation created in 1987 by André Lurton, a key winegrowing figure in Bordeaux. Bordered by vast forests and built-up areas (the towns of Gradignan, Villenave d’Ornon and Léognan), the vineyards enjoy a micro-climate that is ideal for the grape ripening process and therefore the quality of the wine. Château Brown covers some 60 hectares, including 31 hectares of vines in a single stretch: 26 hectares for reds and 5 ha for whites. For the red wines, the vineyard comprises a majority of Cabernet Sauvignon (55%) and Merlots (40%), plus 5% of Petit Verdot. The varieties on the plots dedicated to white wines are 70% Sauvignon and 30% Semillon. The vineyard is planted with a density of 7,400 vines per hectare on two gravel ridges, one in the northern half of the estate and one in the south, rising to a height of 23m. The highest plots of deep gravel with the very best drainage and exposure to the sun are dedicated to Cabernet Sauvignon, while Merlot is planted on the clay-gravel soils. The vines reserved for making white wines are planted on the soils with the most sand and clay. 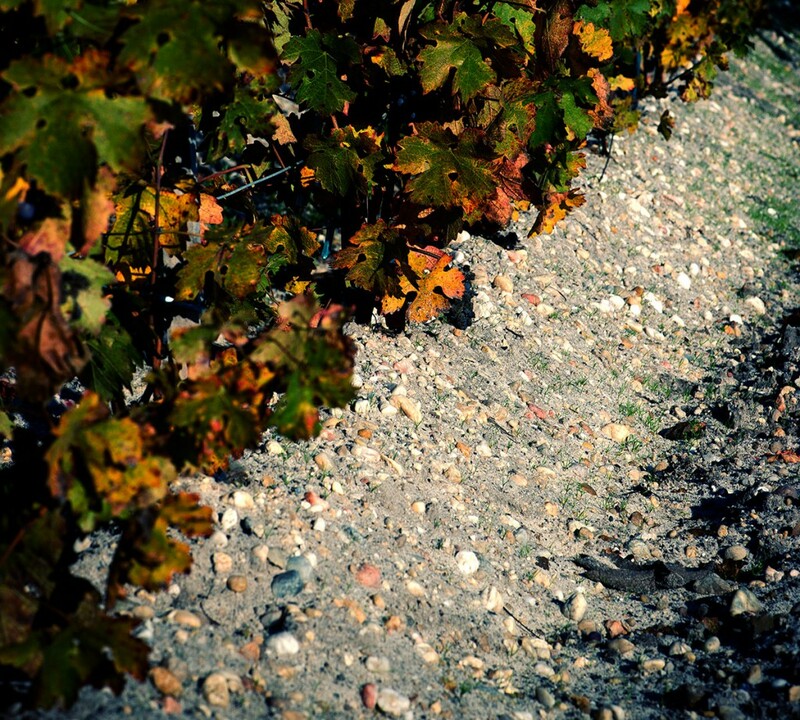 The terroir as a whole comprises a majority of fine gravel mixed in with alios, a ferruginous and sandy soil.